I just wanted to take the time to wish you and all those you love, a very HAPPY NEW YEAR! I hope you had an amazing year and I wish you an even better year for 2018. 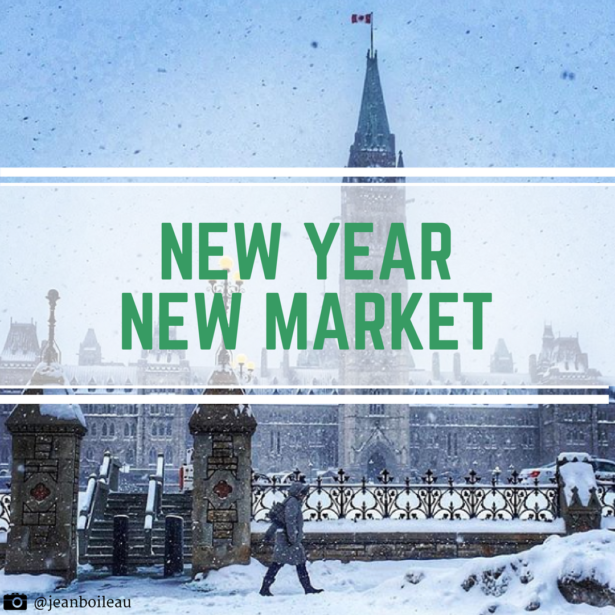 After amazing sales figures in 2016, 2017 was another solid year for the Ottawa Real Estate market. Both in the number of sales as well as the increase in prices. Average residential prices were up approx. 7% and condos were up approx. 3.5%. The total number of residential and condo units sold through the Board’s MLS® System throughout all of 2017 was 17,083, compared with 15,526 in 2016, an increase of ten per cent. Overall, residential sales volume was up 16 per cent. Condos had been struggling for the last 5-7 years but in 2017, the condo market rebounded with a 22% increase in the number of units sold, that’s HUGE. As always, Ottawa continues to have a stable and balanced market. With that, days on market are down almost half of what they have been in the last few years and inventory levels have been dropping and I’m predicting prices to begin to rise even more throughout our spring market. 2017 was also another FANTASTIC year for my life and business. I had my second child on Jan 5th 2017 and after finishing in the Top 20 for all of Keller Williams Realty in Canada in 2015, and obtaining a Platinum Club award with Remax in only 8 months in 2016, I had another great year and will be receiving yet another Platinum Club award for 2017. Perhaps over the holidays you were talking with a friend or family member that’s looking to buy or sell some real estate? Feel free to shoot them my email (amiller@hallmarkottawa.com), and I’d be more than happy to help them. Please let me know what your Real Estate goals are, and I will do my best to make all those dreams a reality over the year to come! "You can count on Andrew to get the job done. There when you need him and always client centred"